Sensi Star is one of our favorite strains. In fact, it was the first flower our founder Tara grew when she began experimenting with cannabis strains, so it’s beloved by our team. It has been around since the early 90's, originally created by Paradise Seeds. Its relaxing and relieving qualities has helped it gain in popularity over the years, and we're very stocked to have it in stock! It’s rare to find these days, so we are all lucky! This multiple High Times and High Life Cup winner (15 cups, but who's counting) means business. You can expect dense, fat nugs covered in a blanket of trichomes and sweet notes of lemon, earth, and spice. This strain is known for its ability to help your body relax deeply while still enjoying a subtle upbeat element, great for days when you're feeling blue. One Leafly user reports, "Sensi Star is the most powerful anti-anxiety cannabis I've ever smoked," and pain? It stands no chance, as patients near and far report relief from aches, muscle spasms, and even fibromyalgia. This batch of Sensi Star is expertly grown by our friends at Henry's Originals. Hailing from the Emerald Triangle, their farms are owned and operated by family using all organic methods. 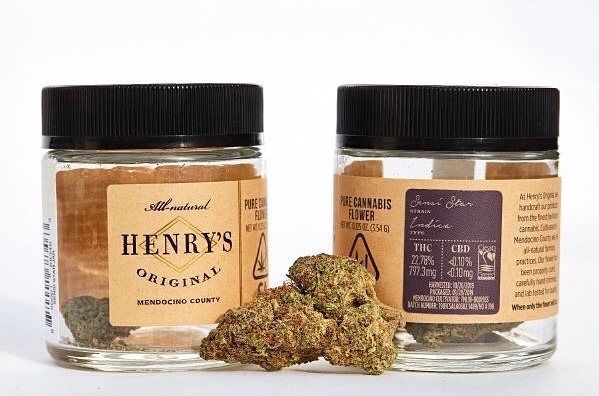 Their product is Clean Green certified (cannabis' version of certified organic), and to top it off, all flower is lab tested through certified facilities at every stage of the cultivation process. What does this mean? The end product is clean, effective, and the highest of quality. Try this beloved strain today!